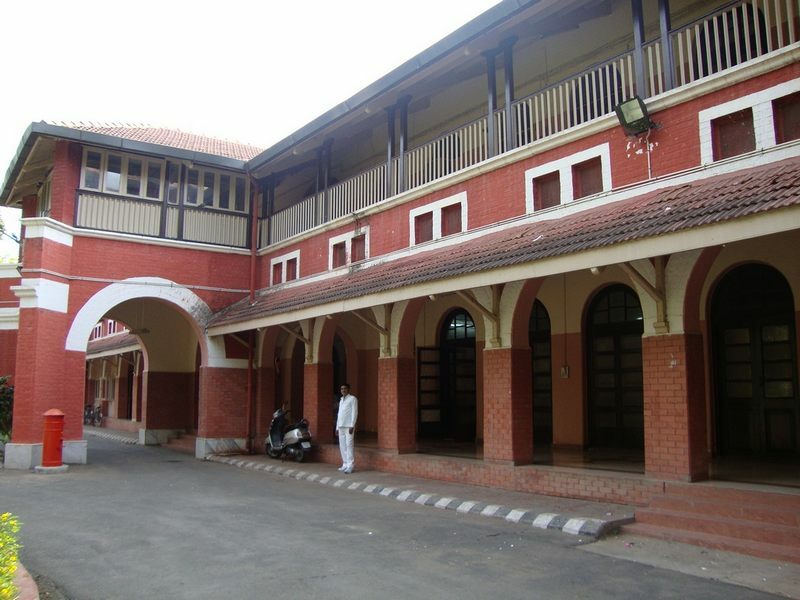 During British rule, colonial buildings like Mahalaxmi Female Training College (1875) I.P.Mission School (1886), Gujarat College (1887) and R.C.High School (1907) came into existence. These buildings have brick walls, rooms with wooden structure and tiles. The use of wood is prominent in such structures. 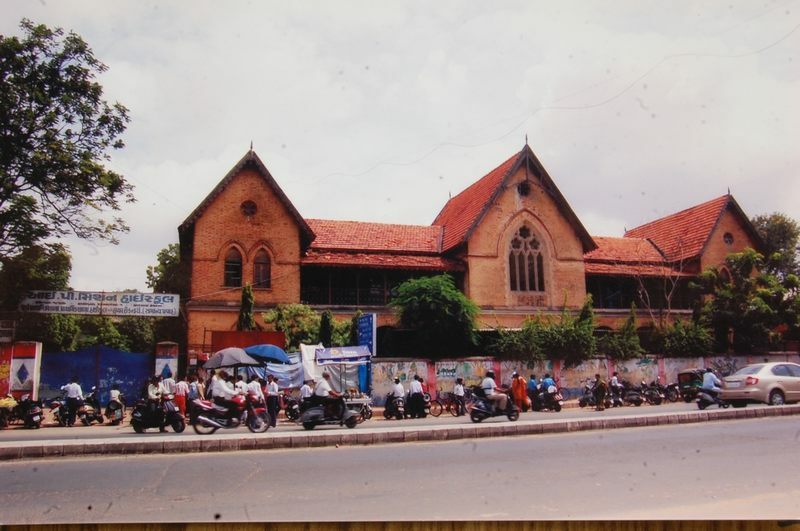 We find such colonial structures in old Civil Hospital on Gheekanta road, built in 1858. At present, this building is used as a court building. 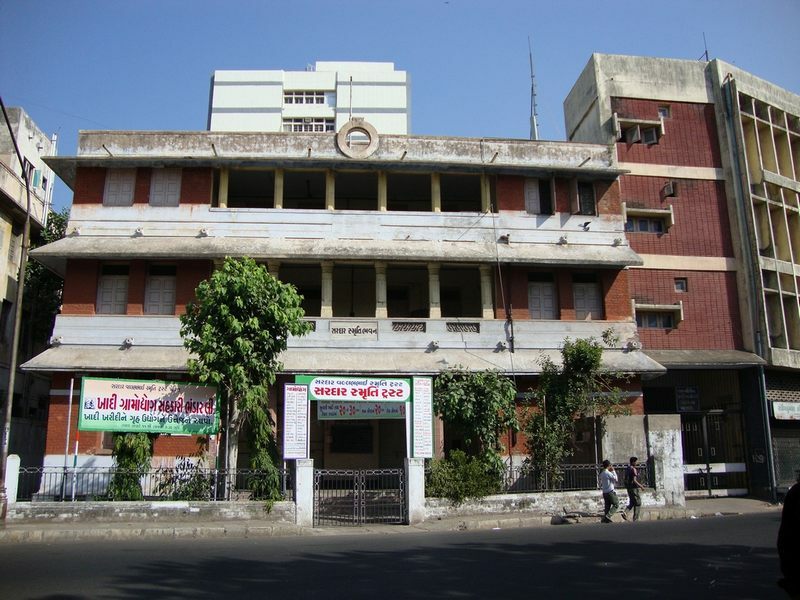 There is collector office in front of it. 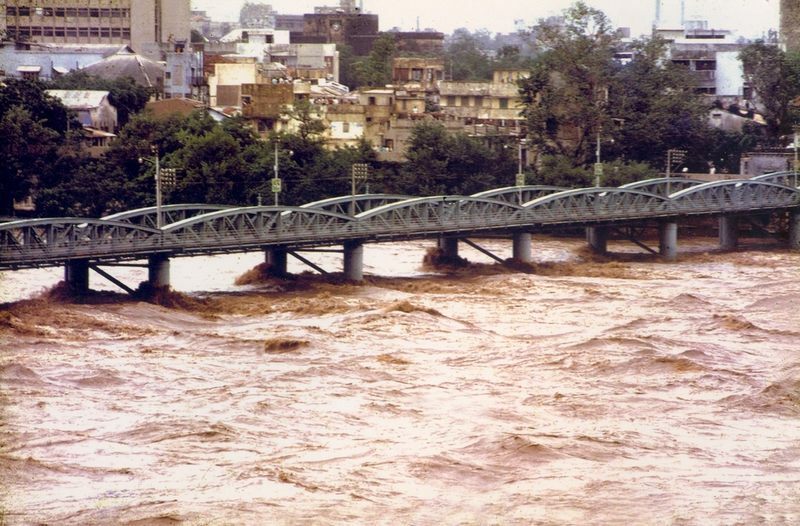 The structure of Ellisbridge is an iron structure and it is still strong. 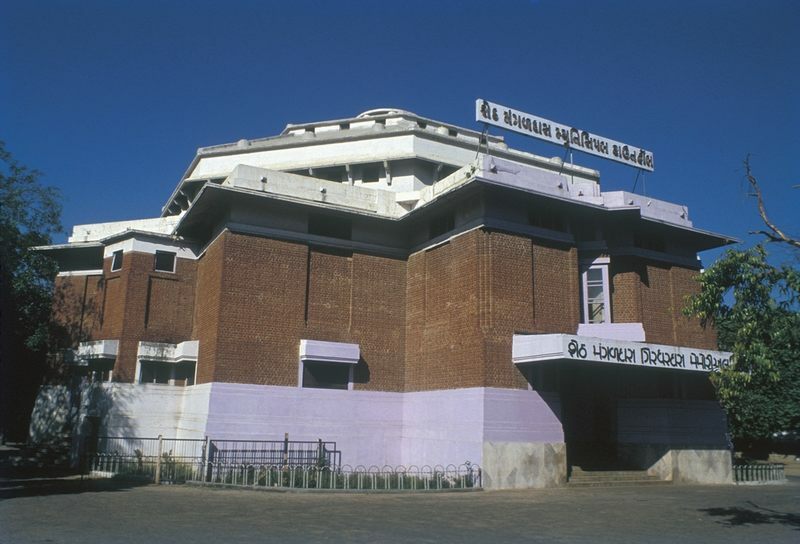 Congress Bhavan (1930) at Lal Darwaja is an architectural structure designed by an English architech, Gregarth Bartley. 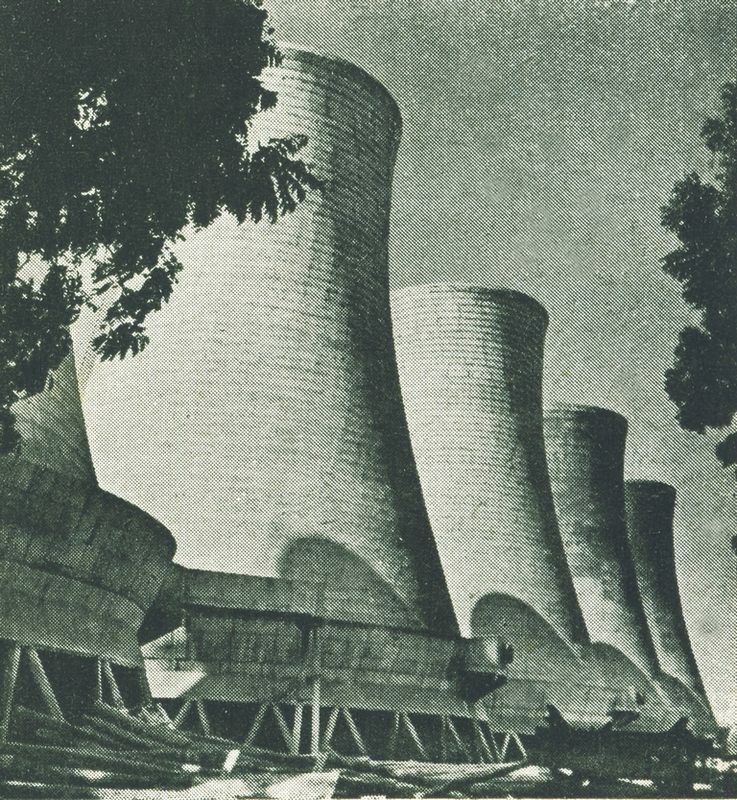 Mangaldas Girdhardas Town Hall (1938) was designed by Claude Bartley. It has dome shape roof, brick walls and geometrical plan. 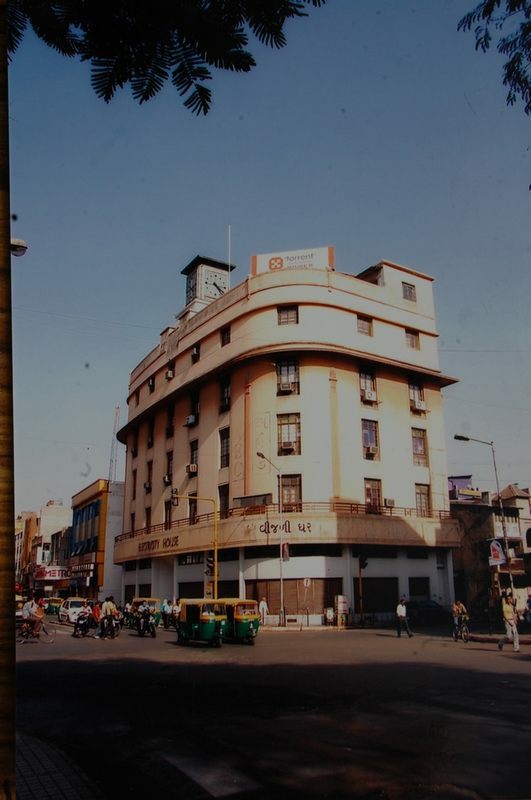 It is a specimen of the blend of Colonial and Indian architecture. The Chajja and Ornate grills in the structure show influence of Indian architecture. We can see a unique blend of European and Indian architecture in the construction of Maneklal Jethabhai Library (1938). 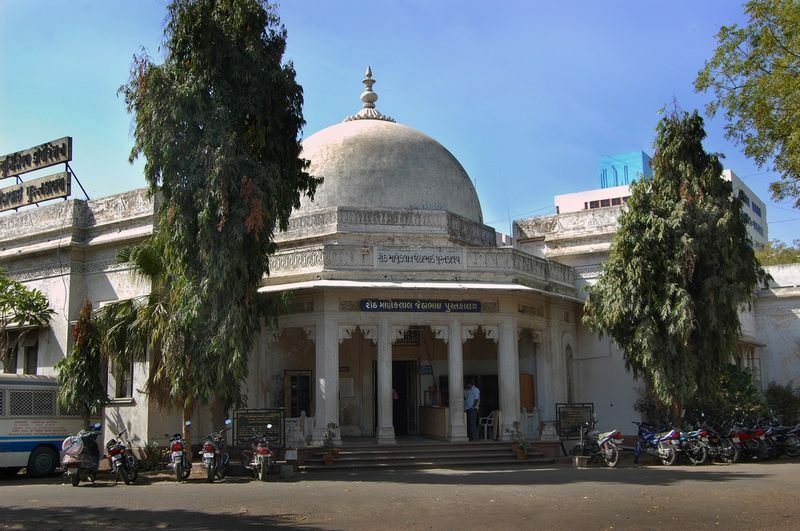 A large central dome roof shows influence of Jaipur style. The Electricity House designed by the British architect Claude Bartley, shows the blend of art deco period. 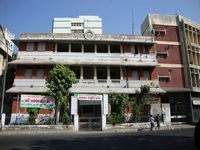 We can see Colonial touch in the construction of Circuit House at Shahibaug and administrative building of Ahmedabad Municipal Corporation. Dutch and Armenians settled in this city between 1615 to 1700 with business purpose. 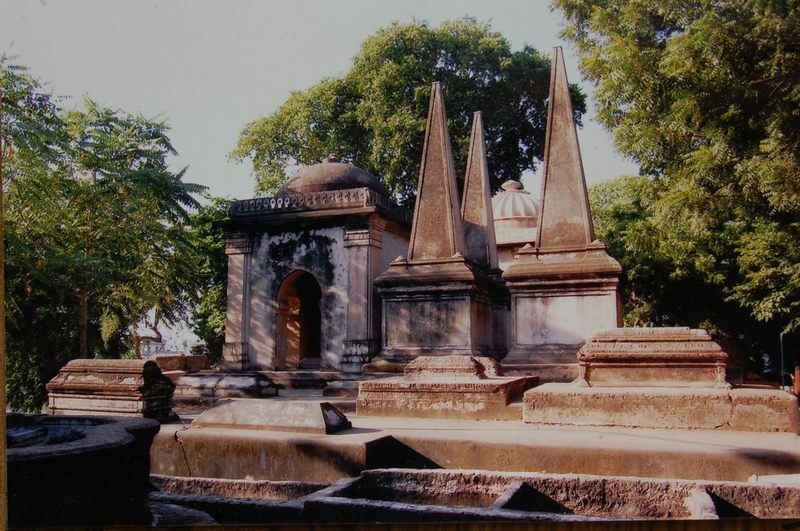 About 38 tombs were built at �One Tree Hill� just opposite to Kankaria Lake. Out of them, about 10 tombs are in damaged condition. Some of the tombs are renovated after the last earth quake. These tombs add beauty to �One Tree Hill�.